A Buddhist life is lived with peace, joy and contentment: each day can be a step along the path to true enlightenment. To live by these values every day takes patience, skill and knowledge, but it is hugely rewarding. This book can show you how to begin to do so - in just 20 minutes. Principles of Buddhism covers the history of the Buddha, the core ideas behind his teachings, from the importance of meditation to the value of life, as well as a range of techniques and practices to allow you to live through the teachings every day.  The value of ritual and devotion. Previously published as Principles of Buddhism, this ebook brings together classic text from an expert in the field with a new chapter, placed at the end of the book, which condenses all the ideas and techniques into a digestible 20-minute read. 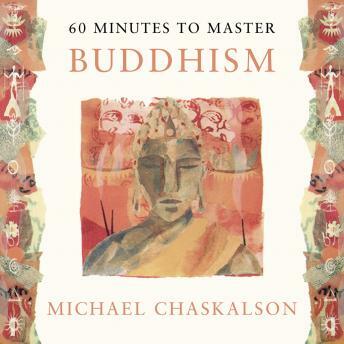 20 Minutes to Master Buddhism will show you how to live with joy and purpose every day. This is part of the 20 Minutes to Master series, five indispensable guides that show you how to transform your life in simple and effective ways. Other titles in the series include 20 Minutes to Master Stress Management, 20 Minutes to Master Meditation, 20 Minutes to Master Your Psychic Potential and 20 Minutes to Master Wicca.